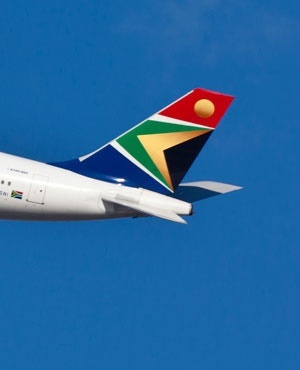 Cape Town - The recapitalisation of South African Airways is a matter that is still being finalised through the work of an oversight forum, according to National Treasury. In a written response to Fin24 about a possible cash injection of R21.7bn for the national carrier, Treasury clarified its position on the matter. “Funding of SAA’s turnaround strategy will require an acceptable mixture of debt and equity, and this matter is being finalised as part of the work of the Oversight Forum between SAA and National Treasury,” Treasury said. Business Day earlier this week reported that it would take R21.7bn over the next three years to support the airline’s turnaround strategy. According to SAA’s fourth-quarter report, released by Treasury on Wednesday, the airline is expected to break even in 2021. SAA reported a R5.67bn loss in 2016/17. The report also indicated that Treasury and SAA’s board of directors have formed a task force known as an oversight forum, to ensure the “successful strategic recovery” of SAA. The forum is will meet until September 2018. The forum will address the liquidity challenges of the airline, determine long-term funding requirements and its optimal capital structure as well as creating an enabling environment for strategy implementation, among other things.